You can do anything you set your mind to. Nothing can stop you from accomplishing your dreams and your goals. You are the only one that can stop you from doing something great. In this video, one young woman doesn't let her challenges stop her from success. She is both blind and physically disabled but she still strives to reach her goal and become a beautiful singer. 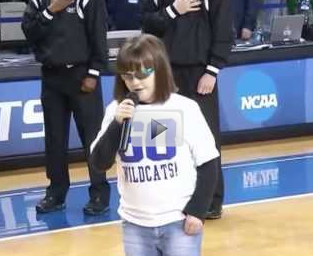 Watch this video of her singing the national anthem. She proves to everyone there that you can do anything. There is nothing out of your reach.